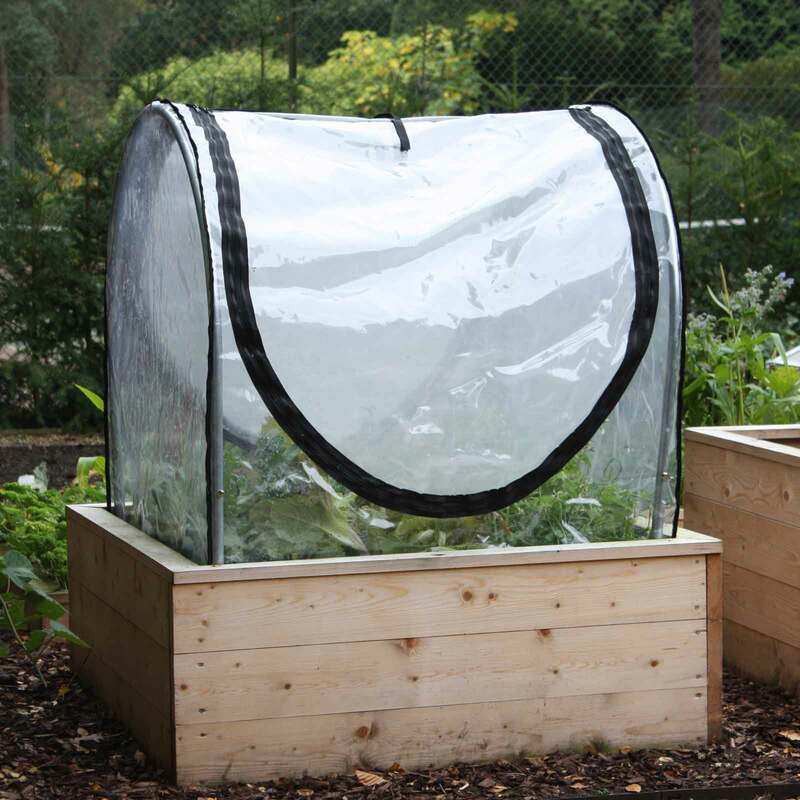 Our Fitted Hoops and Mesh Vented PVC Covers can help you turn your raised beds into an efficient mini-greenhouse to extend the growing season and protect your crops. Transform your vegetable-laden raised beds into an efficient mini-greenhouse with the minimum of effort, prolong your growing season and even ventilate summer crops without compromising on crop protection with our Fitted Hoops and Mesh Vented PVC Covers double act - one that garden pests certainly won't find amusing! 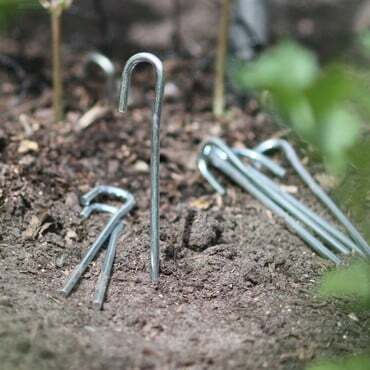 The 19mm diameter galvanised tubular steel hoops fit securely inside our wooden raised beds with supplied brackets and screws. The hoops used on the 60cm (2ft) wide beds give 54cm (21") of growing height and the hoops used on the 1.2m (4ft) wide beds give 104cm (41") of growing height. 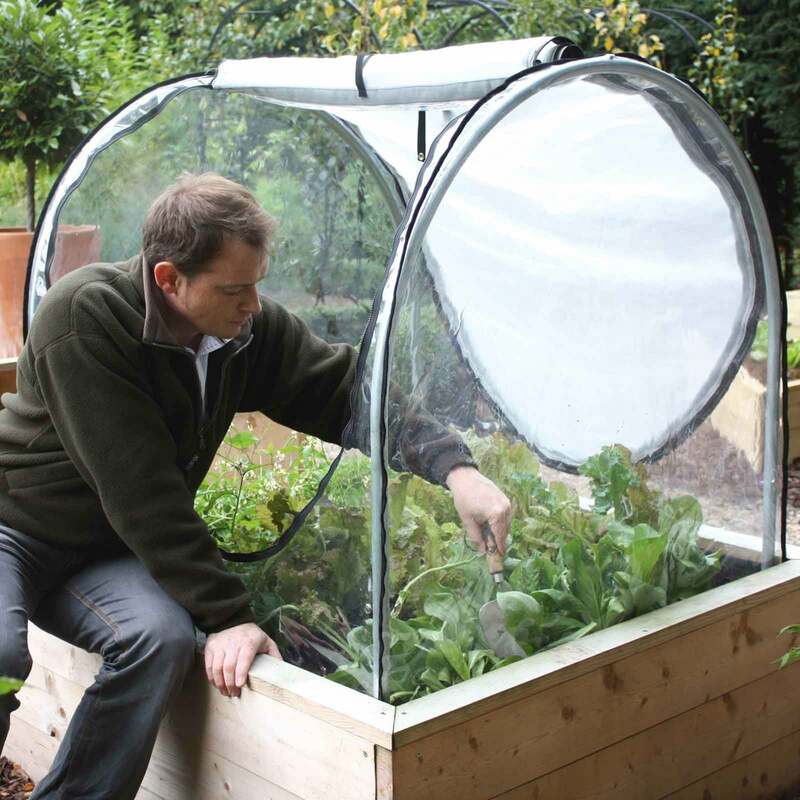 For beds that are 1.2m (4ft) long 2 hoops are used to support the covers and for the 1.8m (6ft) and 2.4m (8ft) long beds 3 hoops are used to support the covers. The clear PVC traps heat and shields plants from the elements to extend the growing season and access couldn't be simpler thanks to the large-zipped, dual-skinned PVC/insect mesh panels that roll up and down on both sides. 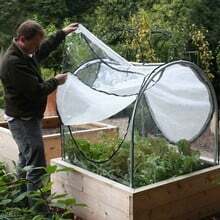 We've also got Fitted Butterfly Net and Insect Mesh Covers for complete raised bed crop protection but don't let your raised beds have all the fun; although designed for use in our beds and with both our Standard and Superior Raised Bed Tables, the Fitted Hoops and Mesh Vented PVC Covers are equally at home in open ground. Fitted Hoops and Mesh Vented PVC Covers system developed to fit our Allotment, Standard and Superior Wooden Raised Beds. 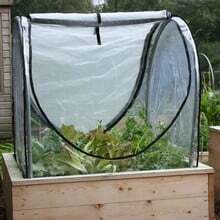 Excellent addition to raised bed. Will extend the growing season and act as a mini greenhouse. Very well Made and hopefully will last several seasons . Really good insect mesh cover for my raised beds, easy to put on and fits perfectly. 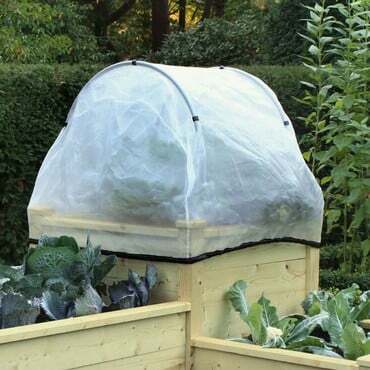 Has saved my cabbages from from whatever ravaged the lot last year! 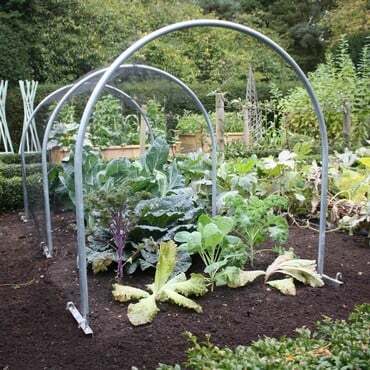 Heavy duty, galvanised and rust resistant steel hoops fit securely to the insides of the bed with the supplied brackets and screws. All hoops are 19mm diameter - hoops for 2ft (60cm) beds measure 54cm (21") high, hoops for 4ft (1.2m) beds measure 104cm (41") but heights vary according to width size.